I started using Lightroom with version 2.0. I have to admit that I didn’t really understand how it worked and was so hooked on processing my RAW images with Camera Raw that I more or less just left Lightroom on my computer but didn’t have much to do with it. 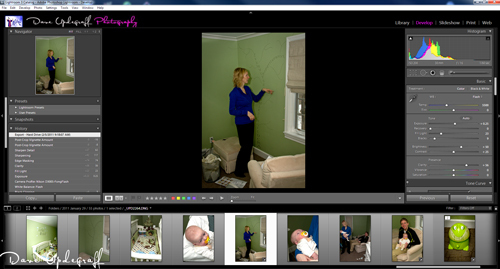 When Lightroom 3 came out I started taking some on-line training on it and now it is my post processor of choice. I usually process my images in Lightroom 3 and then take them over to Photoshop for any additional tweaking that needs to be done. I was looking into the Dubuque photowalk and came across your web site. I have used Photoshop Elements from day one but when Lightroom came out I thought about replacing the Organizer. I finally bit the bullet awhile ago, purchased LR3 and was looking for some online tutorial. I found the site of George Jardine to be just what I was looking for. If I can shake this respiratory infection I hope to make the photowalk.